Chaneâ€™l Giddensâ€™ team won a 3-on-3 basketball tournament in May hosted by RIT GEAR UP to benefit the Golisano Childrenâ€™s Hospital. A high school student involved in Rochester Institute of Technology’s Gaining Early Awareness and Readiness for Undergraduate Program (NYGEAR UP) earned national recognition as the 2018 GEAR UP Student of the Year. The National Council for Community and Education Partnerships (NCCEP) is giving the honor to Chane’l Giddens, a sophomore at James Monroe High School. 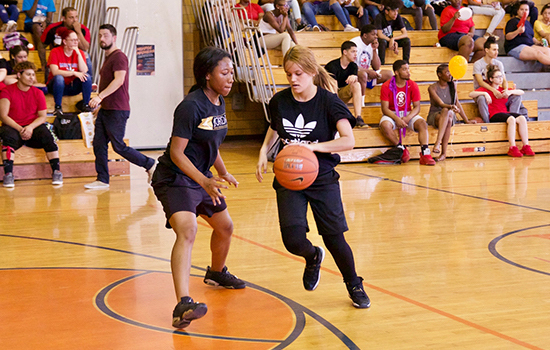 Giddens received the award for excelling as a scholar and athlete while mobilizing her peers to become active participants in the GEAR UP program. RIT GEAR UP is part of a national grant program to increase the number of economically-disadvantaged students who are prepared to enter and succeed in higher education. The future-readiness program received six years of funding from the New York State Higher Education Services Corporation to work with the city of Rochester’s class of 2020 high school students and their parents to build a personalized path to graduation and beyond. The RIT GEAR UP staff supports the students through leadership training, personalized mentoring, parent engagement, tutoring, career readiness and college/financial aid planning. Giddens won the award after completing a competitive national application process that included submitting a video about why she embodies the GEAR UP program. She said her aim is to graduate high school with an advanced regents diploma and earn a full-ride scholarship to medical school with the ultimate goal of becoming neurosurgeon or cardio surgeon. 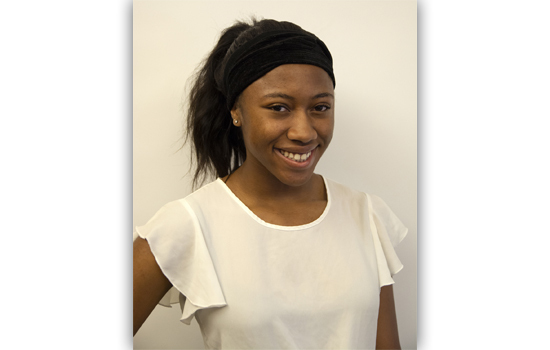 She credits GEAR UP with providing her the support she needs to aspire to these goals. The NCCEP will present Giddens with the award at their annual conference July 15-18 in Washington, D.C.
RIT GEAR UP is administered through RIT’s K-12 University Center. To learn more about the program, visit www.rit.edu/academicaffairs/k12/gearup.